Why you should read this? OBR or A number billing started as a simple surcharge practice in 2014, and now it has evolved in to a complex mandatory billing model practiced by many European operators. The objective of OBR was to limit the termination imbalance between European and Non-European destinations. Subex understands the complexities of this problem based on its 25 years of domain expertise and interaction with operators from around the globe. 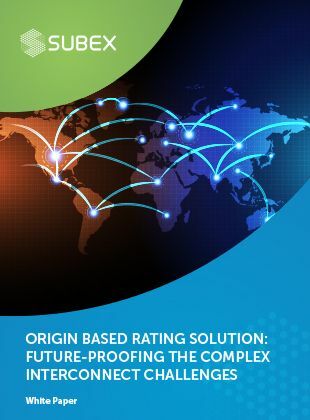 This whitepaper discusses the challenges associated with OBR and suggests a comprehensive solution which addresses the requirements of the evolving interconnect billing landscape with a standardized approach. Download the whitepaper to know more about the solution.